Are you looking for some great read-aloud books? Below is a list of my family’s best-loved books. One of my favorite things about homeschooling is having ample time to read aloud to my kids. Please note I update this post whenever we read a book we absolutely love. They ask me to stop reading or to read loudly when they have to go to the bathroom. They put the book they love on top of the stack of books I am planning to read aloud or clamor for me to read that book above all others. They talk about it as we go about our day. My kids are ages 10, 9 and 6. I have been reading these type of books for the past 2 1/2 – 3 years. So, my youngest began listening to them when she was about 3 1/2 years old. I read during snack and meal times so they are somewhat of a captive audience. I do not read to them when Dad or guests are at the table with us. If I don’t find the book interesting myself as I read it aloud a time or two, then I will just ditch it. If the kid don’t ask for it all, then it is confirmed for me that we should move on. After all, there are so many great books to waste time on ones we don’t love! Here are our absolute favorite read-alouds. While we love some of the classics, we have also found some gems published more recently. Additionally, we do most of our history and geography studies through living books.You will find some of those living history books in the list below. The Last of the Really Great Whangdoodles by Julie Andrews Edwards is my family’s ALL-TIME FAVORITE BOOK!!! We adored Julie Andrews in Mary Poppins and The Sound of Music. This story is of the same caliber. Her imagination is genius! Little Lord Fauntleroy, A Little Princess, and The Secret Garden by Frances Hodges Burnett are some of the finest children’s books ever written. They are excellent for character training because they show children who are pure, good and kind. These books created much discussion in our family as we grappled with the choices the protagonists in the stories would make. People of all ages will find wisdom and delight reading Burnett’s masterpieces. Both my son and daughters loved all three of these books! Cabin on Trouble Creek by Jean Van Leeuwen is a based on the true story of two brothers, ages 11 and 9, who head out to the Ohio wilderness with their pa to clear some land to build a cabin and farm for their family. Pa heads back to retrieve Ma and their younger siblings but is delayed months. This is a survival tale of these two boys in the wilderness and is masterfully told. My kids chanted each day “Trouble Creek, Trouble Creek” to read this book before any others. Mr. Popper’s Penguins by Richard and Florence Atwater will keep your family in stitches. If you are new to reading aloud or your kids are just old enough to begin enjoying novels, this is an excellent one to start with. Be prepared to laugh a lot! The Wonderful Wizard of Oz by L. Frank Baum chronicles the adventures of Dorothy through the Land of Oz. The classic children’s movie, The Wizard of Oz, was based on this fantastical novel. You will find many differences between the movie and Baum’s book. It is fun to compare and contrast the two. Sophia’s War: A Tale of Revolution by Avi is a fast-paced and gripping tale set during the American Revolution. In the opening scene, Sophia watches as Nathan Hale is hanged as a spy. Later, she is recruited as a spy and serves as a maid in the home of General Clinton, the supreme commander of British forces in America. Sophia’s War is a great example of why I prefer to learn history with living books instead of dry textbooks. This is an excellent read and is especially perfect when studying the American Revolution. My Brother Sam is Dead by James Lincoln Collier is another fantastic book to read when studying the American Revolution. It will give you a lot to discuss with your kids. We loved it! Mrs. Piggle-Wiggle by Betty Macdonald is the first in a series about a wise woman who lives in a neighborhood inhabited by children with bad habits. When the parents are at a loss how to break these bad habits, they turn to Mrs. Piggle- Wiggle. This light-hearted read will add plenty of laughter to your day. The City of Ember series by Jeanne Duprau is electrifying and fast-paced. I consider these books modern-day classics. My kids always put these books on the top of my read-aloud pile. These are the kind of books that really cause you to think deeply. After reading the first one, you will see why The City of Ember has received many awards and honors. Gentle Ben by Walt Morey is a beautifully written tale about a large bear named Ben and a boy named Mark. It is set in the Alaskan wilderness and illustrates the special bond between humans and animals. Mr. Tucket by Gary Paulsen is the first in the Tucket Adventure series and is a perfect complement to American westward expansion studies. It starts off with Francis Tucket, a 14-year-old boy, who strays from his family’s wagon train headed to Oregon and is captured by Pawnee Indians. This book is fast-pace and adventure at its finest while learning history at the same time! The Tale of Despereaux is by far our favorite book from popular children’s author, Kate DiCamillo. This Newbery Award winner is centered around a mouse named Despereaux who does not fit in with the other mice. He is in love with music, stories and a princess named Pea. A wonderful adventure awaits you, reader! Poppy was the first novel published in the Tales from Dimwood Forest series by gifted children’s writer, Avi. These books chronicle the adventures of Poppy, a mouse, and the other animals of Dimwood Forest. Our absolute favorite character was the cantankerous but lovable porcupine, Ereth. Blood on the River by Elisa Carbone is a stellar way to learn more about the colony of Jamestown in 1607. Through the eyes of 12-year-old Samuel Collier, this engrossing book brings to life what it must have been like to live in Jamestown at that time. This book is a must! Matilda by the incomparable British writer, Roald Dahl, is another must read! It is about a brilliant 6-year old girl who is poorly treated and neglected by her idiotic and self-centered parents. Her sweet teacher, Miss Honey, quickly realizes Matilda is a child prodigy. However, the headmistress and villain, Mrs. Trunchbull, pays no heed to this. Oodles of laughter will exude from your kids as you read this book together. Journey to the River Sea by Eva Ibbotson is about a young orphan, Maia, in 1910 sent off to live with distant family who own a rubber plantation on the Amazon River. She is excited to explore the banks of the Amazon and view exotic wildlife. However, upon arrival she discovers her relatives are rotten people and they also hate nature. A wonderful story and mystery await you in this enchanting book. Streams to the River, River to the Sea is a book by celebrated author, Scott O’Dell, (who also wrote Island of the Blue Dolphin) about Sacagawea, interpreter and guide for Lewis and Clark. This is unique from other accounts of Lewis and Clark because it is told from Sacagawea’s point of view. This absorbing and suspenseful book will shed new light on the true-life adventure. Mrs. Frisby and the Rats of NIMH by Robert C. O’Brien was awarded the Newbery Medal in 1972. We loved this tale of courage, morality,and heroism. Some people think it starts off slowly, but we did not find that to be the case. George’s Secret Key to the Universe by famed physicist Stephen Hawking and his daughter, Lucy, is a fast-paced and funny adventure that explains our universe in quite an intriguing yet simple way. The book is fairly long, but my kids enjoyed every minute. Furthermore, we all learned a lot. Three additional books follow this one. Pinnochio by Carlo Collodi is a wonderful book about making good choices and the consequences of making poor ones. This particular book I have linked to is especially beautiful because it shows different illustrations from around the world throughout the book. Collodi’s tale is quite different from the Disney version. I think all parents should read this aloud to their kids and discuss its many lessons. It is fun to read the dialogue with an Italian accent. The Twits by Roald Dahl is a hilarious, light-hearted and quick read. If you are new to reading aloud, The Twits is a nice way to kick it off! The Hungry Clothes by Penninah Schram is a great example of folk and fairy tales from around the world we have read. These are an entertaining way to learn and discuss moral lessons. Furthermore, these tales teach us more about culture and history from around the globe. Many libraries have an excellent selection of international folk and fairy tales. 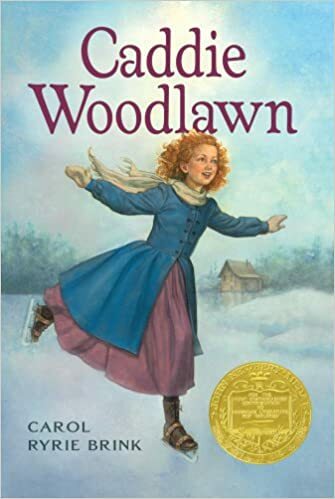 Caddie Woodlawn, recipient of the Newbery Medal in 1936, by Carol Ryrie Brink is a tale of tomboy Caddie and her family’s adventures in the woods of Wisconsin in the mid-1800s. The stories are based on the real life of the author’s grandmother. All three of my kids, including my 10-year old son, adored Caddie and this book. For those studying American frontier life and the Civil War era, this is a great addition. However, it is a great story to read at any time! 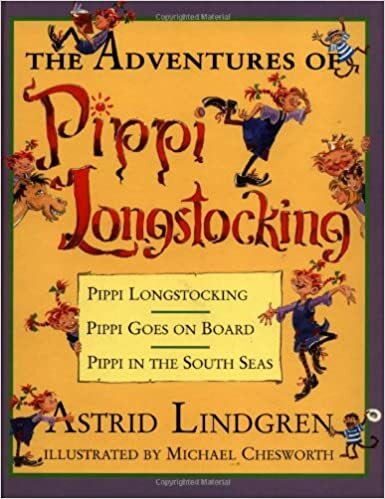 Pippi Longstocking, originally written in Swedish by Astrid Lindgren and later translated into more than 70 languages, has also been turned into several movies and TV series. The tales of Pippi, the girl with upside-down braids and no parents to tell her what to do, and her friends, Annika and Tommy, will bring a smile to your family’s faces. If you are new to reading aloud, this is a great book to get started. Even your youngest children should delight in Pippi’s adventures. The Star of Kazan by Eva Ibbotson is a suspenseful story set in Austria and Germany in the early 20th century about a child, Annika, who was left as a baby just days old in a church. At 12-years old, Annika inherits a trunk of costume jewelry. A woman claiming to be her aristocratic mother arrives and takes her to live in a run-down mansion in Germany. Once you get into the meat of this story, your kids will not want you to put this book down. Death on the River of Doubt by Samantha Sieple is great for history lovers and those fascinated with the Amazon rainforest. 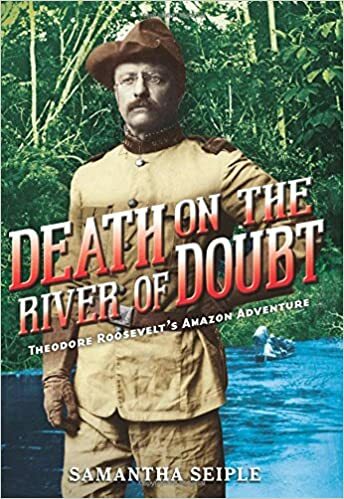 Did you know that in 1913 former president Teddy Roosevelt led a perilous expedition deep into the Amazon rainforest to chart an unmapped river? This book, which is an account of their adventure, was thrilling and exhilarating for our family to read together. Furthermore, I have learned more about the character and leadership of Roosevelt and have even greater admiration for him now. The wilderness doesn’t care if you are a former president or king. All are at risk of injury and death on such a harrowing journey with danger lurking almost everywhere. Secrets of Dripping Fang series by Dan Greenburg is another one of those series that my kids love so much that they chant for me to read it to them. It is fast-paced and hilarious. Many days I intend to read only one chapter but end up reading 3 or 4 because we all want to find out what happens next. While it is not as sophisticated as some other books we read, it is extremely entertaining and enjoyable. This is also a good series to hook your reluctant readers. I read the first 3 in the series aloud, and the kids polished off the remainder of the series reading alone. Where the Red Fern Grows by Wilson Rawls is one of those great classics that is a fulfilling read. This story about a boy and his two hunting hounds will probably have you in tears but in a good way. The values and lessons conveyed in this story are so rich. Numer the Stars by Lowis Lowry is a historical fiction novel set in Nazi-occupied Denmark as the German soldiers began their campaign to “relocate” Jews. The story centers around Anne Marie and her family as they hide her best friend, Ellen, and work to save others Jews. 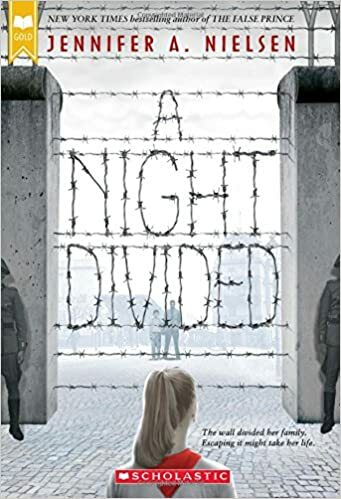 The story is an excellent tribute to the the brave people of Denmark who smuggled out most of the Jewish people to Sweden during this terrorizing time. The classic novel, The Black Stallion, by Walter Farley is an exciting tale about a young boy and his wild stallion. Survivors: True Stories of Children in the Holocaust from Scholastic is one of the most important books I have read with my kids. Gripping stories from 9 Jewish boys and girls are described in this book. While there is so much evil, I felt it an appropriate ready for my 7, 10 and 11-year-old children. They hung on intently to every word. 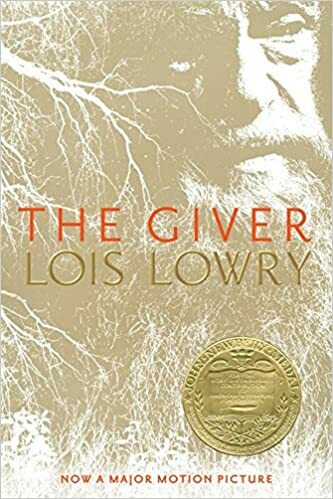 The Giver, by Lois Lowry, earned the 1994 Newbery Medal. Twelve-year-old Jonas lives in a dystopian world of no crime, hunger, sickness, unemployment or choice. He is chosen to be the community’s Receiver of Memories. This exciting and fast-paced novel gives you much to ponder about free will, freedom and society. All my kids loved this book–even my 7-year-old. The Family Romanov: Murder, Rebellion & The Fall of Imperial Russia by Candace Fleming is an absolutely gripping narrative of Russia’s last royal family. My kids especially enjoyed learning about the Romanov children and Rasputin. Insightfully, my son pondered if Nicholas had selected another wife than Alexandra if the 20th-century Russian history and, ultimately, world history would have been altered due to her bad judgment and influence on her inept husband. This non-fiction work is anything but dull. We plan to dive into the study of Communism and wanted to better understand the events that led to the Communist Revolution. The Penderwicks: A Summer Tale of Four Sisters, Two Rabbits, and a Very Interesting Boy by Jeanne Birdsall is the first delightful book in a 4-part series about the Penderwick girls who go on vacation at a beautiful estate in Massachusetts. They make fast friend with the estate owner’s son. However, his mother is less than thrilled with the Penderwick girls. We found this book a delightful read aloud for both boys and girls. The Great Brain series by John Fitzgerald is one of our favorite of all times. 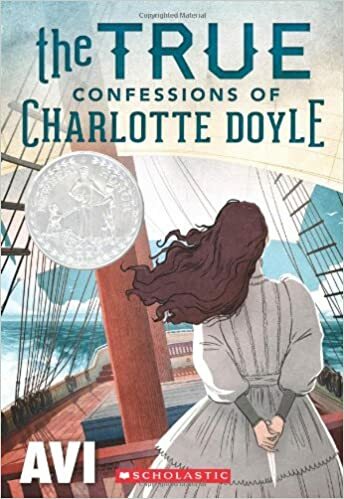 Set in Adenville, Utah at the turn of the 19th century, these enjoyable books focus on the narrator’s brother who has a great brain and uses it for all kinds of mischief and money-making schemes. My kids liked it so much that they read the entire series themselves and then clamored for me to read the whole thing aloud. This is also a nice complement to your history studies of this same time period. I’d say this a delightful and engaging read for all ages! Angel on the Square by Gloria Whelan is the first in a quartet series of Communist Russia. It shows both sides of the Russian Revolution opening in 1913 when this aristocratic girl goes to live with the Romanov family because her widowed mother is lady-in-waiting to Empress Alexandra. We get to know the Romanovs in a warm and personal way and see what a doting father Nicholas II is to his children. However, she also witnesses the exploitation of workers in the cities and the terrible living conditions of peasants. Meanwhile, war is spreading throughout Europe and Russia is crumbling. We give this fast-paced and absorbing book our highest review possible. The Impossible Journey by Gloria Whelan is the second in a quartet series of Communist Russia. This book, which opens in 1934 in Leningrad a generation after the Communist Revolution, is every bit as engaging as the first. The children of the heroine and hero of Angel on the Square are alone and desperate after their father is arrested and mother is exiled to Siberia. They are determined to find their mother and embark on a 1,000-mile journey in hopes of reunification. Filled with adventure and suspense, the children encounter many obstacles and confrontations and even a beautiful experience with the Samoyed tribe in the Siberian wilderness. Red Scarf Girl, a memoir by Ji Li Liang, takes the reader to the destructive turmoil of the Cultural Revolution in 1966 led by Chairman Mao in Communist China. Twelve-year-old Ji Li is an accomplished student and athlete and joins her classmates in frenetically denouncing The Four Olds: Old ideas, old culture, old customs, old habits. She witnesses relatives, teachers, neighbors and friends publicly humiliated and tortured but still remains fervent in her Communist ideology. Her family eventually becomes reviled due to their wealthy family background. Friends and neighbors turn on them, and they are constantly afraid of being arrested. After her father’s imprisonment, Ji Li is forced with a big decision. This autobiography received multiple awards including Publishers Weekly Best Book. ALA Best Book for Young Adults and ALA Booklist Editors’ Choice. Mao’s Last Dancer (Young Reader’s Edition) by Li Cunxin is the riveting autobiography of a peasant boy born into extreme poverty in 1961 just before the Cultural Revolution. Despite his poverty and witnessing the brutality of the Mao regime, he revered Chairman Mao and Communism. He details life in school that is focused more on Communist indoctrination than the basic educational tenets of reading, writing and arithmetic. At the age of 11, Li was selected from his village by delegates of Madame Mao’s art program to study ballet at the Beijing Dance Academy. The opportunity opens many unimaginable doors including a cultural exchange in Houston with the Houston Ballet in 1979. While in Texas, he begins to realize much of what he was told about the USA was a lie. He loves his taste of freedom in America and is in awe of such abundance and modernity. The story is of his defection and climax of the book is nail-biting! What are some of your favorite read-aloud books? Please share with us in the comments below.